Dr. Cohen obtained her PhD in Health Policy and Administration from the University of North Carolina - Chapel Hill and her MHSc in Community Health and Epidemiology from the University of Toronto. She has been involved in tobacco policy research for over 20 years. Trained in epidemiology and health policy, her research interests focus on the factors that affect the adoption and implementation of public health policies and on evaluating the beneficial effects and the unintended consequences of such policies. 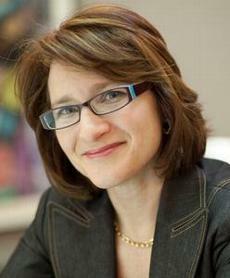 She has worked on studies of both US and Canadian legislators regarding tobacco and tobacco control policy, a longitudinal cohort of smokers focusing on factors influencing quitting behavior, tobacco promotion at the point of sale, tobacco prices including taxes, tobacco packaging, options for reducing the physical availability of tobacco products, and tobacco industry interference in tobacco control. Dr. Cohen has been recognized for her teaching and mentoring, and has co-led a 6-year training program in public health policy. She is a Senior Editor of Tobacco Control and was recently a voting member of the US Food and Drug Administration's Tobacco Product Scientific Advisory Committee. Cohen JE, Yang J, Donaldson EA. Impact of the Removal of Light and Mild Descriptors from Cigarette Packages in Ontario, Canada: Switching to "Light Replacement" Brand Variants. Preventive Medicine (in press). Mead EL, Rimal RN, Ferrence R, Cohen JE. Understanding the Sources of Normative Influence on Behavior: The Example of Tobacco. Social Science & Medicine (in press). Asma S, Song Y, Cohen J, Eriksen M, Pechacek T, Cohen N, Iskander J. CDC Grand Rounds: Global Tobacco Control. Morbidity and Mortality Weekly Report (MMWR) 2014; 63(13):277-80. *Zhang B, Cohen JE, Bondy SJ, Selby P. Use Duration of Nicotine Replacement Therapy and Smoking Cessation: A Population-based Longitudinal Study. American Journal of Epidemiology (in press).